Since 1999, Northwest Siding Contractors of Eugene, Inc. has been installing James Hardie® Siding Products and other Wood Siding Products on Residential and Multi-Family housing. We also provide painting, gutter and downspout, and window services to make us your complete exterior solutions company. We have become one of the largest and most reputable siding companies in the Eugene-Springfield area with over 2,000 homes serviced to date. Our reputation has been built with our commitment to quality and service on every project, big or small. We also pride ourselves on being the only Preferred Remodeler of James Hardie® Siding Products in the Eugene-Springfield area. 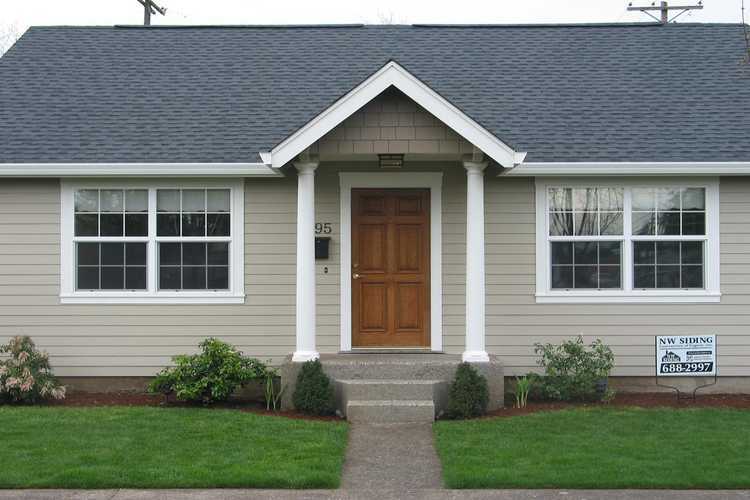 So for all your exterior needs, give Northwest Siding Contractors of Eugene, Inc. a call today. Our sales staff will give you the knowledge, expertise, and education that you need to solve all your exterior concerns. added to all credit card payments. Copyright © 2019 Northwest Siding Contractors of Eugene, Inc. All rights reserved. All other trademarks belong to their respective owners.